﻿ HuntingNut » Forums » Firearms, Shooting & Reloading » Gun & Firearm Discussions » When Does a .380 Beat a 9mm? Posted: Wed Jan 08, 2014 8:05 am Post subject: When Does a .380 Beat a 9mm? A very interesting article that is also quite a good read...albeit a short article. This article will no doubt open a can of worms, but that is one of the things I love about this Forum...the ability of the members to have a heated discussion without the heat. Have you ever heard the phrase “Friends don’t let friends carry mouseguns”? I have; in fact, I’ve uttered it more than a few times myself over the years! The implication, of course, is that calibers below a certain threshold, arbitrary though it may be, are not suitable for protecting one’s life. Posted: Wed Jan 08, 2014 10:34 am Post subject: Re: When Does a .380 Beat a 9mm? "When does a .380 Beat a 9mm?" When your wife doesn't like the weight and recoil of a 9mm. She sure likes her Bersa Thunder in .380. Better then carrying a sharp stick [I guess]. Now me...I carry a Kimber UCC II in .45 ACP. 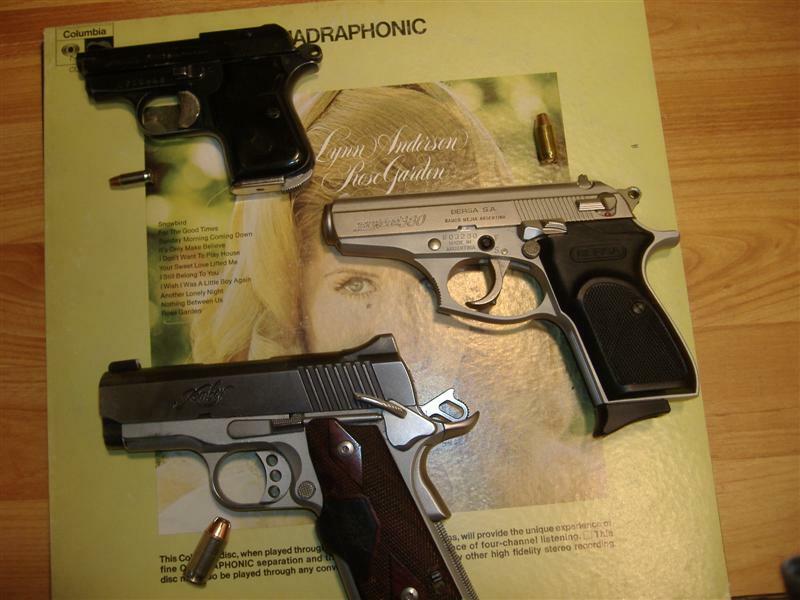 Posted: Wed Jan 08, 2014 11:15 am Post subject: Re: When Does a .380 Beat a 9mm? I used to be an advocate of "Use enough [hand]gun" for defense, as that's what "experts" had told me. But a few years back my friend and his wife decided to get concealed carry permits. I convinced his wife, who was a bit intimated by firearms, to not consider a .22LR and not go less than a .380 (as this was the prevailing "wisdom" that had been ingrained into me). She compromised and bought a .32 ACP. Posted: Wed Jan 08, 2014 11:58 am Post subject: Re: When Does a .380 Beat a 9mm? Azar...I have a friend that is over 6 ft and carries [only] a .22 Beretta all the time. I'm 5 ft 7 in. and 155 lbs. The recoil and muzzle blast are not a problem. That said...What you stated above is a good rule. I have one more for you...Do not EVER pick out the firearm for a woman! Let her pick it out. You'll live longer and happier. Posted: Wed Jan 08, 2014 12:29 pm Post subject: Re: When Does a .380 Beat a 9mm? The main things I've killed with my 9mm handguns are groundhogs and it put them right down; no second shot needed. I shot a small groundhog from about 3 feet away with a 380 Auto and it got back into it's hole. I was a bit incredulous since I was so close and I was aiming for the head. Two or 3 months later, I trapped a small groundhog with a healed round wound on the back of it's head. In my opinion, it's better to carry something than nothing at all even if that's a 22 Short but there is no doubt in my mind that not only is the 9mm Luger better than the 380 Auto but even bigger is better for me. That said, when my clothing won't permit concealed carry of something bigger, it's a 380 Auto I carry. Posted: Wed Jan 08, 2014 7:34 pm Post subject: Re: When Does a .380 Beat a 9mm? I like my .380 bodyguard, thought about going to a 9mm, but just like that article says, if you can put more rounds on target at a faster rate, then why go for a gun that makes you slower. The concealability of the gun is a huge plus also and a 9mm of that size would just be less manageable to shoot for me. I got rid of a 40cal. Glock because it was too unwieldy to get rounds on target rapidly. It was the most accurate shooting semi-auto I've owned and I might just go for a 9mm Glock some day, but the recoil of that 40cal was just too much for me. Posted: Wed Jan 08, 2014 8:13 pm Post subject: Re: When Does a .380 Beat a 9mm? A while back I took a friend of my wife shooting. He was plinking away with an old Beretta 9mm when I offered to let him try my Ruger LCP. After one shot he proclaimed “That is a LOT more powerful than my Beretta!” Of course we know it wasn’t but it was a lot lighter, with a smaller grip. Some people seem to overlook that aspect of the gun when they are making recommendations to new shooters. A smaller caliber doesn’t necessarily mean a gun will recoil less. I’ve shot .44 Mags, hot .45 Colts and .480 Rugers without much difficulty but the worst recoiling handgun I ever shot was a S&W J-frame in .357 Mag. So much so that I have no desire to do it again. I wouldn’t recommend my LCP to a new shooter unless they’ve shot one a bit and are comfortable with it. I honestly haven’t looked to see if the new PointBlank has the recoil calculation feature like the old one did but that was something I liked to play with. Posted: Wed Jan 08, 2014 10:31 pm Post subject: Re: When Does a .380 Beat a 9mm? How true. After spending years trying to get my wife, who prefers revolvers, to to accept semi-autos from 9mm through .45 ACP with little luck, I finally just took her to a local shop and told her to pick out her own handgun for home defense. The only rules I laid out were that it had to be at least .38 Special, no less than a 3" barrel and no junk. Result was a 4" S&W Model 64 that, in warm weather, she now keeps me busy loading rounds for her! As a result of her constant shooting, anyone coming through our door in the middle of the night is in serious trouble. Posted: Thu Jan 09, 2014 12:24 am Post subject: Re: When Does a .380 Beat a 9mm? Both Azar and Suz summed it up nicely in my mind. Multiple hits from a smaller calibre will trump multiple misses from a bigger calibre. Like Bushy, I too would carry a .45...if I was allowed by the Govt...as it has stupendous hitting power and I find that I can control that sort of power. However, even a .22 rimfire has adequate power to take an assailant down with good shot placement. Posted: Thu Jan 09, 2014 6:10 am Post subject: Re: When Does a .380 Beat a 9mm? Reminds me of of one forum exchange were someone was arguing that only a .45 was suitable for self-defense and that nothing smaller would be effective. I asked him "then it would be ok if I shoot you with a .22?" You can guess his answer. Posted: Thu Jan 09, 2014 6:49 am Post subject: Re: When Does a .380 Beat a 9mm? Posted: Thu Jan 09, 2014 9:27 am Post subject: Re: When Does a .380 Beat a 9mm? O K...I'll admit to carrying a "mouse gun" when the ocasion requires it. Top: FIE .25 ACP. My "Boot Gun"
Middle: Bersa .380 ACP. Wife's carry weapon. Bottom: Kimber UCC II .45 ACP. My primary carry weapon. The important thing is they all end in "ACP". Posted: Thu Jan 09, 2014 9:33 am Post subject: Re: When Does a .380 Beat a 9mm? Posted: Mon Jan 13, 2014 5:58 pm Post subject: Re: When Does a .380 Beat a 9mm? I don't find the recoil from either .45ACP or 357mag to be in any way disturbing but IF I were to choose (& be allowed to have) a defensive carry handgun, it would be a double stack 9mm, preferably the CZ85B. At double the capacity of the 1911 it reduces the chance of needing a magazine change when faced with multiple threats. Having said that; I'd be much happier with a .380 than anything smaller. Posted: Mon Jan 13, 2014 9:40 pm Post subject: Re: When Does a .380 Beat a 9mm? 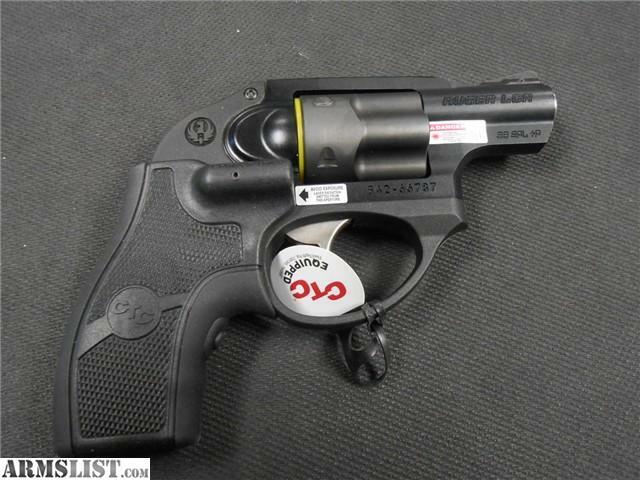 I am looking at one of these for CCW use, 13 ounces of .38 SPL +P. I wont feel under gunned at short range.